Sen. Steve Wilson plans to introduce legislation Wednesday to create a statewide plan for Alzheimer’s that would improve healthcare, public awareness, medical training and infrastructure. 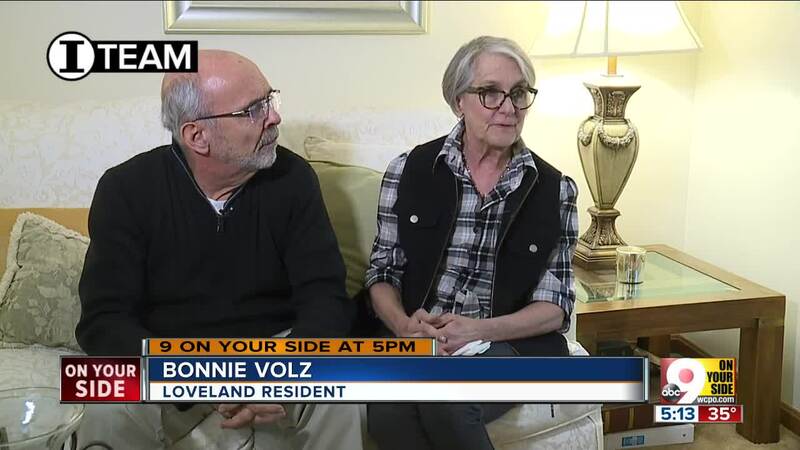 CINCINNATI — When Bonnie Volz meets someone new, she admits right away that she has Alzheimer’s Disease. This 71-year-old Loveland grandmother wants people to understand why she sometimes struggles with words or loses her train of thought. But the reactions of strangers can be hurtful. The lack of awareness around a disease effecting 220,000 Ohioans, which experts predict will triple by 2050, got the attention of state Sen. Steve Wilson, a Republican from Maineville. Wilson plans to introduce legislation Wednesday to create a statewide plan for Alzheimer’s that would improve healthcare, public awareness, medical training and infrastructure. Ohio is the only state in the nation that lacks a comprehensive plan to confront Alzheimer’s and other dementias. Wilson lost a grandfather to Alzheimer’s many years ago. His close friend’s wife also died of the disease. When Wilson attended her visitation service, his friend explained how painful it was to lose his wife to Alzheimer’s. “He said, ‘I lost my wife twice. I lost her when she no longer knew me, and I lost her again when she died,’” Wilson said. This is also very personal for Paula Kollstedt, executive director of the Alzheimer’s Association’s Greater Cincinnati Chapter. Her husband was diagnosed with Alzheimer’s at age 50. After a 14-year battle with the disease, he died in 2014. Alzheimer’s is the sixth leading killer in the United States and in Ohio. And it's the only disease among the top 10 that has no cure or even a known way to slow it down, Kollstedt said. The Alzheimer’s Association is only able to help a fraction of the people who need it, she said. That would change under a new state plan. Wilson, who is co-sponsoring the bill with Senate Minority Leader Kenny Yuko, expects it will receive widespread support. If the bill becomes law, it will create a task force of experts who will meet for 18 months and produce a report of recommended changes. John and Bonnie Volz want others to understand the disease so they aren’t afraid of it. Volz would also like more social outings and programs for his wife, and for caregivers like himself. The Volzes belong to a support group and attend outings at the zoo and museums sponsored by the Alzheimer’s Association. “It’s a lousy, lousy diagnosis but let’s do our best to be as positive as possible for as long as possible,” John Volz said. The Alzheimer’s Association of Greater Cincinnati has a 24-hour hotline staffed by clinicians 365 days a year to answer questions and help caregivers. Call: (800) 272-3900.